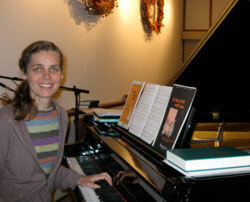 Music plays an important role in our worship and fellowship at Valmont Community Presbyterian Church. Our worship services are a fusion with music ranging from traditional hymnity to contemporary praise songs. Valmont Music Ministry welcomes anyone who has a desire to praise the Lord with song and there are several opportunities for congregation members to participate. 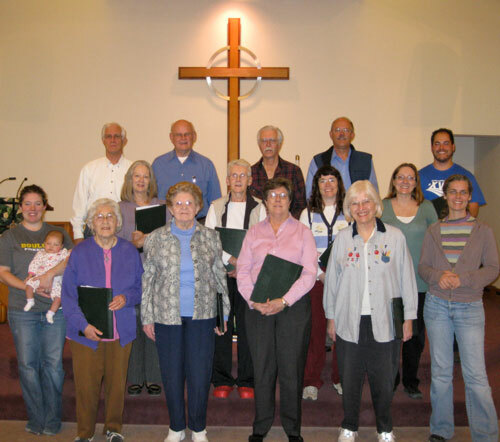 Valmont Choir rehearses Tuesday nights from 7:00 to 8:30 pm. The Choir is active, singing almost every Sunday, September through May. (Watch the bulletin for the choir’s summer schedule as it is to be announced.) Valmont Handbell Choir meets seasonally for Christmas and Easter and rehearsals are scheduled a few weeks before rehearsals begin. Let us come before him with thanksgiving and extol him with music and song!